What Does The Best Bond Cleaning In Camp Hill Cover? Finding and selecting reliable house cleaning in Camp Hill is not easy. The most common questions we get asked by people like yourself have been collated below to assist you in making a smart decision. 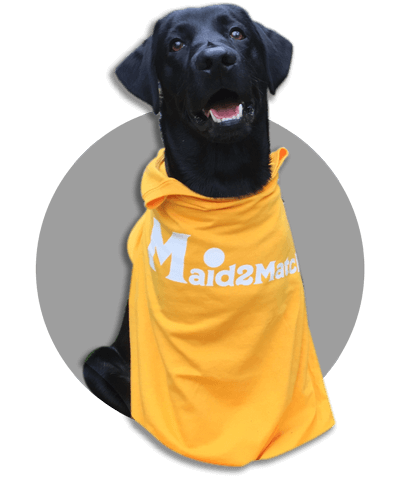 WHY ARE MAID2MATCH CAMP HILL’S BEST AT VACATE CLEANING? The truth is great bond cleaners possess a different skill set than regular house cleaners and therefore requires specific experience, dedication, and a first-class cleaning checklist. At Maid2Match, we personally vet all our cleaners, after having them complete a three-part application form. We provide extensive support and have crafted the most effective bond cleaning checklist you’ll find. Don’t take any chances with your rental bond cleaning Brisbane, contact us today. Situated 6 kilometres to the south-east of Brisbane CBD, Camp Hill is one of its residential suburbs. Filled with parks and shops, it’s no wonder that Camp Hill is such a delightful suburb. You can also enjoy a fresh cup of coffee in one of its many cafés, or get a bite to eat in one of its charming little restaurants. The main occupation of the first settlers was farming, and the settlement felt their German influence. The first dairy opened in the 1860s, and the famous Peter Faust was a farmer around that time, as well. After the White family bought 53 acres of land, the settlement developed quickly thanks to more farming beginning and new roads. Even the observatory that’s currently a public reserve was built by Robert White. The hilly terrain is enchanting, and there are some paved bicycle circuits you can enjoy on Perth Street Park and Lavarack Park. You can enjoy the vibrant atmosphere of Camp Hill bowls club on Ferguson Road, or enjoy a game of touch football on the Whites Hill Reserve. If you want to get some shopping done, the Whites Hill area has a huge shopping centre. The Centro Samuel Village has a Woolworths along with some small stores, and you can quench your thirst at the local Beer Wine Spirits. Apart from that, the Old Cleveland Road has some quaint shops and stores too.